Digital marketers consider (and it is already proved) that YouTube is the hidden gem in digital marketing. This fact is substantiated by statistics indicating that YouTube is the 2nd largest search engine (immediately after Google). The plus point for YouTube is it is offering the information through videos as well. B2B YouTube Marketing Strategy can be found here. Few facts about the popularity indicate that a) there more than 1 billion users are visiting this channel every month, b) over 6 billion hours of video watch in every month, c) more than 100 hours of video are uploaded very minute. All these indicate that there is huge potential for markets on this ever increasing popular platform in the field of digital marketing. B2B is a concept where one business is in dialogue with another business. This is typically applicable in relations like job work, manufacturer-dealer, manufacturer-distributor etc. 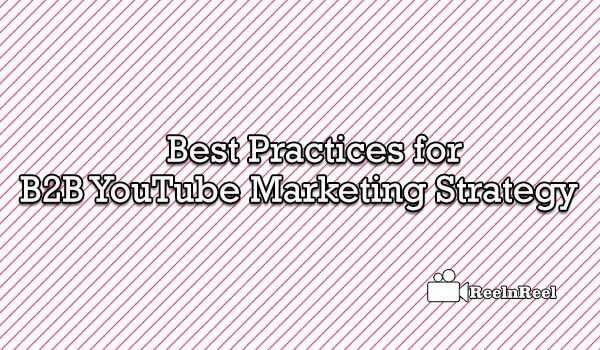 To take the maximum advantage of this wonderful marketing tool, the marketers need to adopt some best practices to ensure that their B2B YouTube marketing strategy is a grand success. a) Identify the potential viewers. b) Prepare the content suiting the requirements of the targeted audience. c) Provide proper and accurate credentials. d) Provide and update the contact information on each page of the content. e) Provide provision for feedback through comments/likes/remarks. f) Answer the queries raised by the users within a reasonable time. g) Schedule visits the site and maintains the schedules. h) Present best quality output to the audience. i) Constantly update the content suiting the requirements of the viewers. j) Have required quantum of patience till you get the required level of traffic. k) Monitor the visits using the inbuilt features of YouTube. l) Constant follow up with the prospective customers. m) Convert the visits (to the site) to purchase decision. The digital marketer has to ensure that the proper content as published on his site is having required traffic as well as constant efforts to convert the visits to purchase decision.